Researchers at the University of Florida (UF) are boldly going where no one has gone before – figuratively speaking, that is. 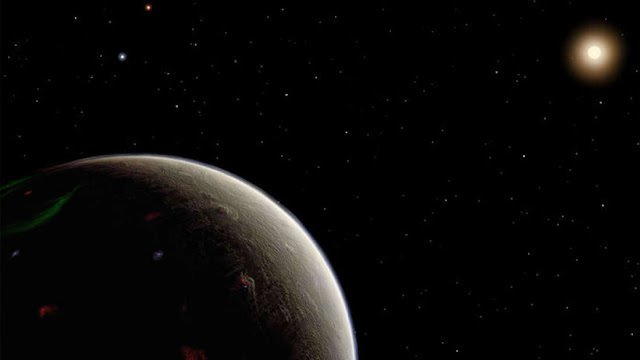 In a study published in the Monthly Noticesof the Royal Astronomical Society, astronomers with the Dharma Planet Survey, a project focusing on low-mass planets around bright stars, have pinpointed Star Trek’s famous planet Vulcan. Let’s be clear here: there aren’t any pointy-eared, highly intellectual Vulcans actually inhabiting this newly discovered planet. That would be illogical. Star Trek creator Gene Roddenberry associated the fictional planet with a real star, 40 Eridani A. Now, scientists say the star hosts at least one planet. In 1991, Roddenberry and three Harvard-Smithsonian astronomers wrote a letter to Sky & Telescope declaring that if Vulcan were real, it would most likely orbit the star 40 Eridani A. This very real orange dwarf star exists in the Milky Way galaxy along with the white dwarf star 40 Eridani B and the red dwarf 40 Eridani C, which together orbit around A. What they hadn’t known is whether a real planet existed nearby. “This star can be seen with the naked eye, unlike the host stars of most of the known planets discovered to date. Now anyone can see 40 Eridani on a clear night and be proud to point out Spock’s home,” said Bo Ma, the paper's first author. But would this new super-Earth be able to house life? Probably not. Vulcan is around 16 light-years away and weighs about eight times the mass of Earth, meaning its gravity is probably too strong to support life, reports Science Magazine. Furthermore, it orbits very close to its orange star, which, although a bit smaller and cooler than our sun, would still make the planet very hot. “The orange-tinted HD 26965 is only slightly cooler and slightly less massive than our Sun, is approximately the same age as our Sun, and has a 10.1-year magnetic cycle nearly identical to the Sun’s 11.6-year sunspot cycle,” explained astronomer Matthew Muterspaugh.